Communities on Canada's east and west coasts have experienced profound changes as a result of environmental and economic restructuring associated with the decline of traditional resource-based industries. This restructuring has resulted in social changes with major implications for the health and well-being of individuals and communities. 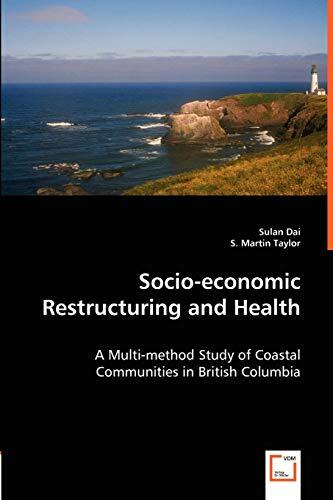 This study examines the relationship between socio-economic restructuring and health in four BC coastal communities by a community health survey and in-depth interview studies. The findings of the survey analyses indicate that the communities lag behind the province of British Columbia and Canada as a whole in terms of self-reported health status. The main predictors of general and emotional health status and stress are a healthier lifestyle and higher socio-economic status (SES), along with a higher level of community satisfaction. Differences in health status are plausibly attributable to restructuring processes and major events in each community. The study concludes that socio-economic restructuring has had an impact on the health of BC coastal communities and their residents in the last two decades. Sulan Dai earned an MD from the Shanghai Medical University, China and a PhD in medical geography from the University of Victoria, Canada. After practicing medicine in teaching hospitals for over ten years, she now specializes in health policy research with Health Canada.